Essential for normal functioning nervous system, also may help provide energy. 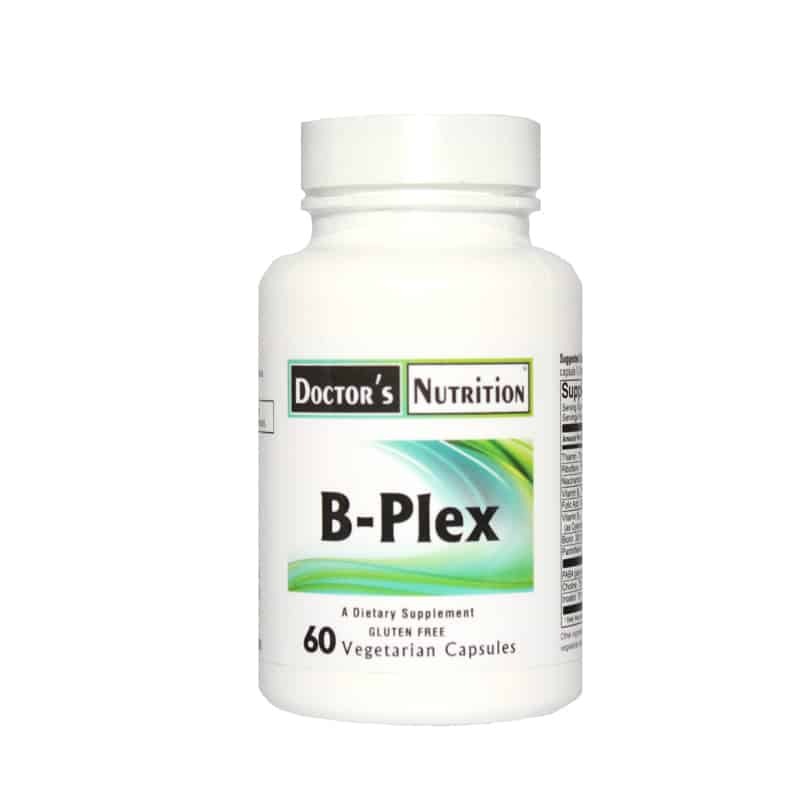 B Plex is a balanced B Vitamin Complex. 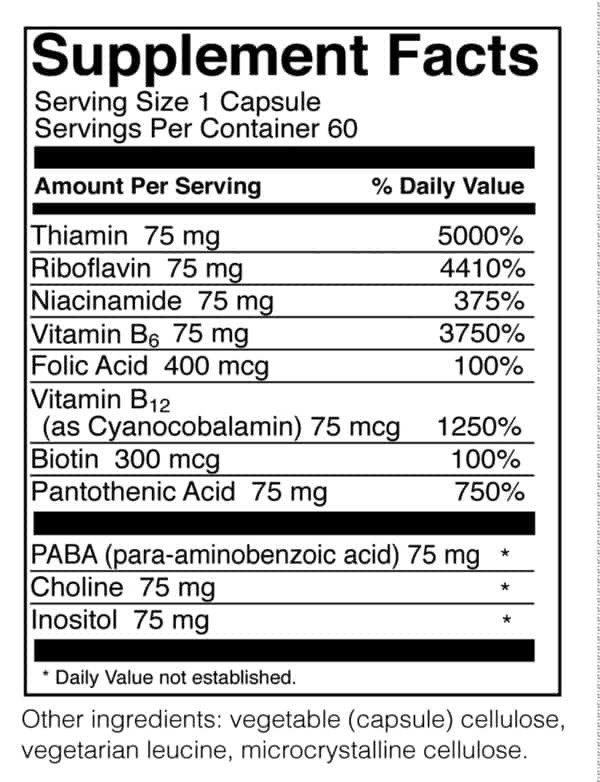 B vitamins have multiple uses in the body. They are very essential for normal functioning of nervous system, they help provide energy, and keep the digestive system working properly. * Many things, including stress, deplete the body of B vitamins. This product is vegetarian and free of citrus, corn, egg, gluten, milk, sodium, soy wheat, yeast, added sugars, starches, synthetic dyes, artificial flavorings and preservatives. Suggested use: As a dietary supplement, take 1 capsule 1-2 times daily, or as professionally directed.